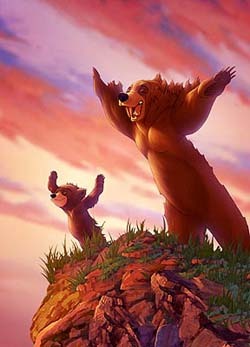 Toon Talk: Brother Bear 2[S]lowly and surely, the DTV sequels (and spin-offs, such as The Lion King 1 ½) began to increase in quality, both story-wise and, most impressively, with the animation. While such titles as Cinderella II: Dreams Come True and Stitch! The Movie had substandard, Saturday morning-level production values, more recent releases such as Kronk’s New Groove and, most especially, Bambi II, have displayed close to feature quality animation. Happily, I report that the newest video follow-up, Brother Bear 2 (available today), falls into the latter camp, with lush backgrounds and top-notch character work to just about equal it’s Oscar-nominated predecessor. 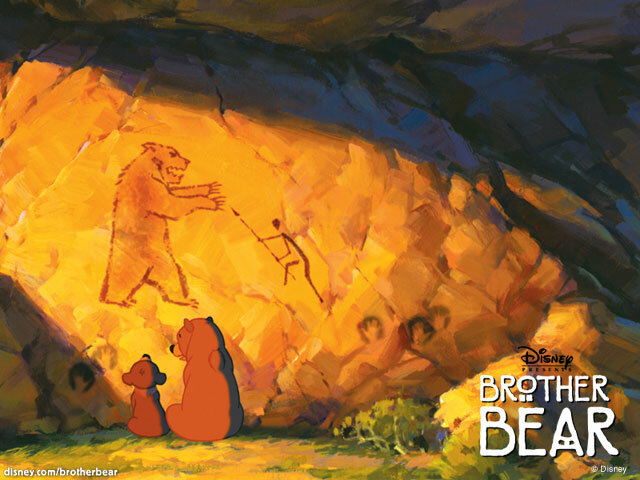 But, quite impressively, BB2 does it one better by delivering a story that avoids the pitfalls of the first film, making it--dare I say it--actually better then the original Brother Bear. Book Review: DreadfulWater Shows Up by Thomas KingDreadfulWater Shows Up is Canadian author Thomas King's first foray into the field of crime fiction (he's using the name of Hartley GoodWeather for the series, but since his real name is splashed all over the cover and Hartley is a poor second-line credit, it's not much of a pen name) and the switch in genres hasn't caused him to stint in the application of his writing skills. All the elements that a fan has come to expect from a Thomas King novel are in full attendance and ensure this isn't just some run-of-the-mill mystery story. 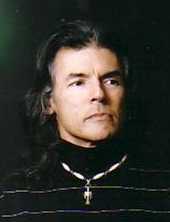 Thomas King is a Cherokee and like most authors he writes about what he is, or the community he is, most familiar with. In his case that's the people of the foothills in the Rockies on both sides of the border who were living there when the settlers rolled into town. But these aren't "Native" books; they are books with Natives as the lead characters. These characters eat, go to the bathroom, have relationship problems, and worry about their children. Just like the rest of the world. Imagine that. 2nd film from Atanarjuat's makers to open Toronto festThe Journals of Knud Rassmusen recounts the story of the famous Danish explorer who travelled to Igloolik in the 1920s. Kunuk said it portrays the ways in which life changed for Inuit in Igloolik when explorers arrived and Christianity was introduced. Here's a great statement on the issue from the Grand Forks Herald, 4/12/06:"Don't you have more important things to worry about?" This statement often is posed by non-Native students at UND to Native students taking part in Fighting Sioux logo discussions. I have committed my life to dealing with harmful and negative stereotypes and educating students on my reservation of their culture, traditions, ceremonies and spirituality. As Native people, we experience layer upon layer of stereotypes and images that dehumanize. Eurocentric curriculum and children's literature reinforce stereotypes of the "vanishing Indian," "romantic Indian," "militant Indian" or "drunken Indian." I have seen firsthand how these images, along with poverty or low socioeconomic status, generational trauma and other issues of reservation life contribute to low self-esteem in Native students.To read the whole article, go to Fighting Sioux vs. Fighting Irish. What do Canada, Belgium, and Malaysia have in common? "The histories of bilingual and bicultural societies that do not assimilate are histories of turmoil, tension, and tragedy." A news item from the good folks at NativeVue:Attention Chris Eyre fans! Next month he will be starting pre-production on his next film, Route 66. Produced by Michael Huens and Andrew Horton with Wolves at the Door Productions, Route 66 is about a Greek soap opera star’s journey down the legendary American highway and subsequent romance with a local native woman. Filming will take place in both Greece and in Oklahoma. For more information, check out the film’s official website at: http://rt66-themovie.com.Incidentally, stayed tuned for the debut of NativeVue's blogs on Native filmmaking. Coming soon! Free health care causes cavities? Dentist: Cultures allowing tooth decay "will soon disappear"
Indians are "about gaming, alcohol, fireworks, and abortions"
Is the wizard still wonderful? L. Frank Baum was a racist who called for exterminating American Indians...Who was the real L. Frank Baum? Could the creator of America's greatest fairy tale truly advocate mass murder? Does a lifetime of artistic achievement absolve him of his despicable words? Should kids be taught about all this? I haven't answered these questions for myself yet. I watched The Wizard of Oz again the other night, happily singing along with Judy Garland--but unable to lose myself fully in the story. I was on the lookout for hidden racism and found none. But when the Wizard was once again shown to be a fraud, it didn't seem startling at all.Comment: Yes, kids should be taught about all this. See The Indian-Oz Connection for more on the story. 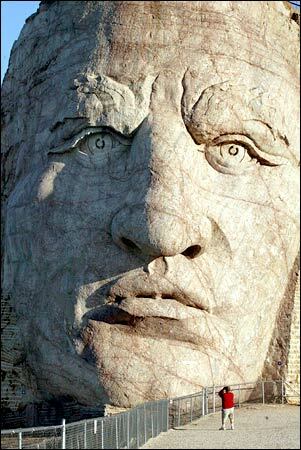 Chiseled in timeWhen completed, the Crazy Horse Memorial will be 563 feet high and 641 feet long--twice the size of the Statue of Liberty. The Lakota warrior's arm will point to his ancestral homeland while perched on a stallion more than two soccer fields long. After visiting Crazy Horse, I visited Mount Rushmore. It was a slight letdown--so much smaller and, in fact, I learned that the four presidential Mount Rushmore figures could squeeze inside of the Sioux warrior's head I was standing in front of earlier in the day. Poor Indians cling to the past? Indians' "special status" is a failure, causes "social pathologies"
Anti-abortionist Stanek: "Sioux tribe plans to scalp its own"
Proposed Hannah Duston Day appalls American Indian leadersMargaret Bruchak, an Abenaki historian, said in order to properly understand the Duston story, it's important to understand the Abenaki culture's view of combat and captivity. "The whole point of taking a captive was to then transport that person safely. For the whole of that journey they were treated like family," Bruchak said. "When captives were taken, they were almost immediately handed off from the warriors to individuals who would then look after them. Hannah, we know for a fact, was handed over to an extended family group of two adult men, three women, seven children and one white child." That's why the Abenaki viewed Duston's actions after she escaped with such horror, she said.Correction: It's Bruchac, not "Bruchak." 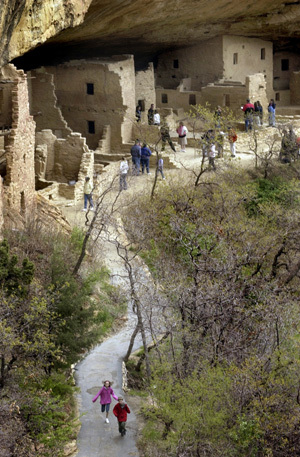 Thieves and Vandals Put a National Gem at RiskWith 100 archeological sites per square mile, Canyons of the Ancients is regarded as the richest trove in an area famous for its remnants of American prehistory—the Four Corners region of Utah, Arizona, Colorado and New Mexico. Yet Canyons of the Ancients has only one law enforcement officer to police the monument's 250 square miles. At many federally managed cultural sites, damage is widespread, from casual pilfering by arrowhead collectors to excavating by professional thieves. Some haul power tools into canyons to cut out rock art panels. In a 2003 study of cultural and fossil resources on public land, the BLM reported that "increasing visitation to public lands is resulting in both intentional and inadvertent damage to these resources from collection, vandalism, surface disturbance…. 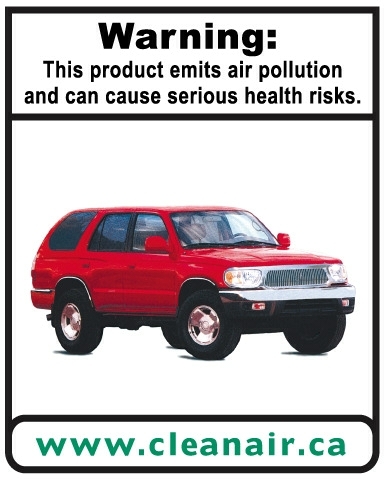 Remote areas, once protected by their distance from populated areas, are now within easy reach of the hardy and well-equipped hiker, off-highway-vehicle user, and urban and suburban resident. "Comment: Another of George W. Bush's crimes against humanity, albeit a nonfatal one. Ojai actress Bedard enjoys her moment in the hot sun"Into the West" or not, Bedard said girls continue to recognize her as the voice of Pocahontas in the Disney film of the same name. "It's like getting to be Santa Claus," Bedard said. "I have seen teenage girls come up to me--and they turn into little girls. 'You're Pocahontas!' People of all ages do that. "Comment: Into the West was nominated for 15 Emmys but won only one: the nonprestigious "Single-Camera Sound Mixing for a Miniseries or Movie." Sounds about right to me. A note from Michael Nicoll Yahgulanaas of Rocking Raven fame:Haida manga's Hachidori book has just reached number three best seller on Amazon Japan. A 20,000 copy print run August 24th pre sold forcing the publisher to print another 20,000 copies the next day. Hachidori has now sold 80,000 copies in Japan since April 2005. This Time, the Indians Tell Their Own Story[D]ebates surround the very creation of so-called Indian cinema. Indian culture is based on an oral tradition, which is contrary to the kind of definitive imagery rendered on film. The issue, then, becomes whether cinema is contrary to Indian culture. Some contemporary Indians, Ms. Morris noted, have voiced suspicion of even the most well-meaning chroniclers of their culture. “Let’s face it, there’s been a lot of resentment about past exploitation,” she said, citing not just Hollywood but also anthropologists, National Geographic-style preservationists and even the Indian photographer Edward Curtis. “I don’t want to say the visual medium is replacing the oral tradition,” said Mr. Burris, who specialized in Indian law before becoming a producer, “but I think it’s encompassing it. And I think that’s out of necessity in terms of the world we live in now. Stories can still be told and passed on and lessons be taught. But we’re such a visual society. The media are such an influence and can be such a great way of conveying a message. I think, just out of necessity, the traditional stories are going to fall into the visual medium.”Correction: It's Cochiti, not "Conchetti." 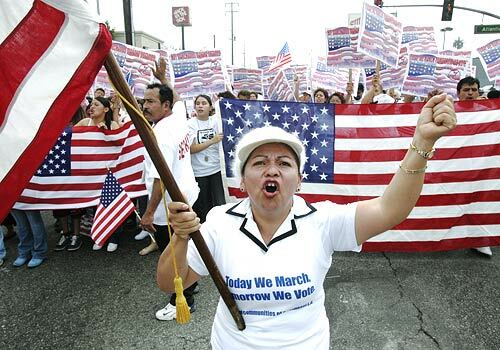 As many people know, Natives have served more often in the US military than any other ethnic group, percentage-wise. This noteworthy trait is reflected in comic books. 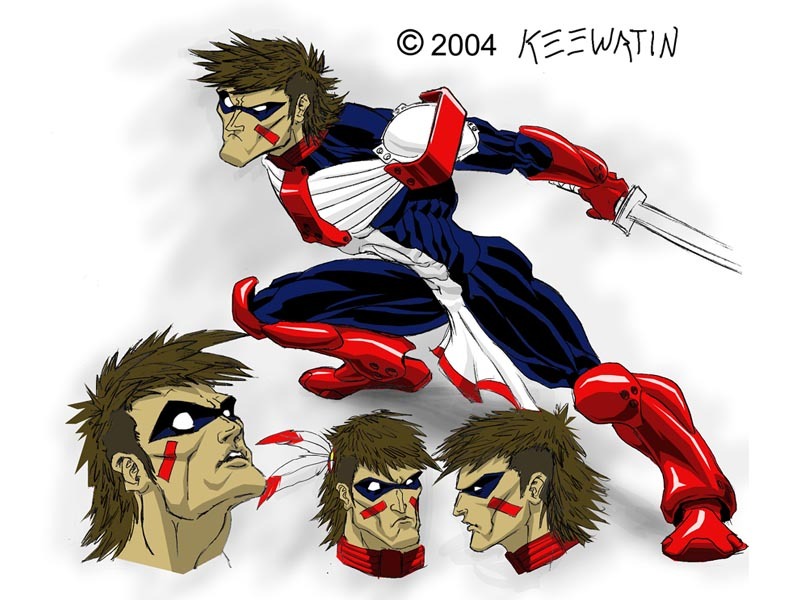 DC Comics had at least two prominent Native characters in its war comics. In the Sgt. Rock stories, one member of Easy Company was Little Sure Shot (Louis Kiyahani), the name originally used by Annie Oakley. DC describes him as a "full-blood Apache tracker and Easy Co.'s sniper/sharpshooter. What he lacks in size he makes up for with stealth, speed, accuracy and cold-blooded efficiency." Another DC war comic was ALL-AMERICAN MEN OF WAR, which introduced Johnny Cloud, a lieutenant in the World War II U.S. Army Air Corps: the so-called Navajo Ace. After starring in this series for years, Cloud joined THE LOSERS, which featured "a fighter pilot, a PT boat commander from the Pacific, and a couple of Marine ground grunts operating in Europe." The heyday of war comics, the 1960s, is long gone, but these characters reappeared recently. In the Sgt. 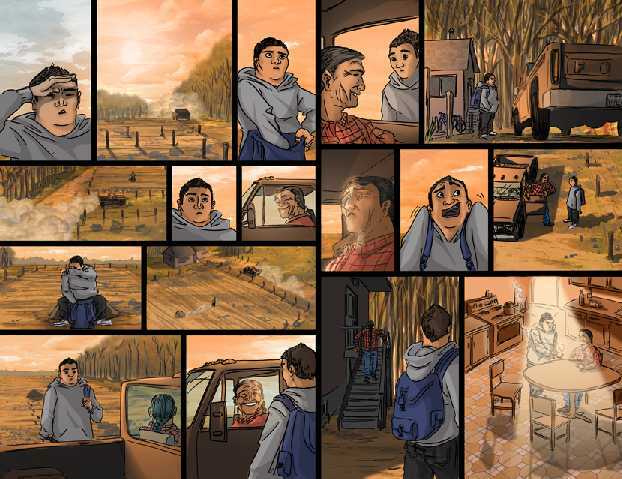 Rock graphic novel, BETWEEN HELL AND A HARD PLACE, Little Sure Shot has the least important role and comes across as the typical stoic Indian. On the other hand, in the NEW FRONTIER mini-series, Johnny Cloud narrates the first chapter and thus gets the most characterization. Unfortunately, he has a fatalistic streak of the kind once attributed to non-Western races. When his companions are killed by dinosaurs on a lost Pacific island, he chooses to stay and seek revenge rather than escape. The typical American pundit asserts, usually on Columbus Day, that Western civilization is superior to Native civilization. Here's a response from The Gospel of the Redman by Ernest Thomspon Seton and Julia Seton, 1936:THE Civilization of the Whiteman is a failure; it is visibly crumbling around us. It has failed at every crucial test. No one who measures things by results can question this fundamental statement. Apparently, the money-madness is the main cause of it all. We know that such a thing was unknown among the Indians. Their big menace was failure of food supply, and against this they prepared by a storage plan that was effectual.The Setons ask a long series of questions to take the measure of each culture. Read the full posting to see what they think makes a civilization civilized. Hint: It isn't having the most nuclear bombs, space shuttles, SUVs, semi-automatic pistols, 60" plasma TVs, iPods, or breast implants. The Setons also nailed the key difference between Western and Native civilization in the chapter titled "The Soul of the Red Man: His Spirituality":The culture and civilization of the Whiteman are essentially material; his measure of success is "How much property have I acquired for myself?" The culture of the Redman is fundamentally spiritual; his measure of success is, "How much service have I rendered to my people?" His mode of life, his thought, his every act are given spiritual significance, approached and coloured with complete realization of the spirit world. 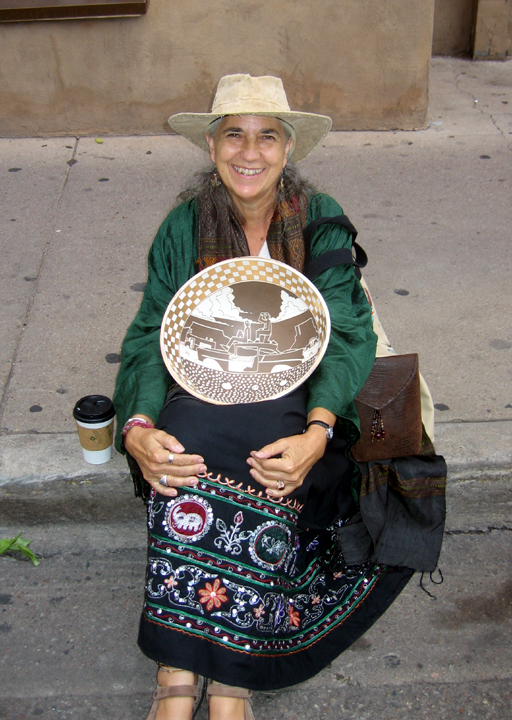 Chuck Rozanski, owner of Mile High Comics, describes his purchase of a bowl in Santa Fe's Indian Marketplace:As an illustration of my buy-it-when-you-can philosophy, pictured to the right you will see Nanette holding a large bowl with a cartoon painted inside. It may seem hard to believe, but under normal circumstances this bowl retails for $7,000.00! If you can find one for sale....The bowl was formed and painted by Diego Romero from Cochiti Pueblo, arguable one of the top ten Pueblo artists working today. Diego (and his brother Mateo, who is a brilliant painter) grew up in Berkeley, CA, where they both became addicted to comics, and comics art, during the 1970's, in the world-famous COMICS & COMIX Telegraph Avenue store. Upon his eventual return to Pueblo life Diego became extremely politicized, and began creating overtly controversial pots featuring graphic illustrations of Spanish conquistadors and priests physically abusing Pueblo people during the 1600's. While nothing that Diego was painting in his bowls was anything but a true representation of what happened prior to the Pueblo revolt of 1680 (the first real "Independence Day" in American history), the enslavement and murder of the Pueblo people is a topic simply not freely discussed in New Mexico. The current younger generation of Pueblo creators is actively tearing away the obscuring curtains of time, however, and making a real issue of the fact that the Native Americans of New Mexico were incredibly ill-treated. The same could, of course, be said by indigenous peoples who found their lands colonized by a more technologically advanced societies from Brazil to Siberia, but Diego Romero is the one Pueblo potter who has chosen to conjoin graphic storytelling and traditional pottery in such an overt political fashion. In case you're wondering, I've been relating this story of the Diego Romero bowl for you in such detail because I think that this particular piece illustrates the very broad bridge that exists between comics and Pueblo pottery. When we had a couple of quiet moments together I quizzed Diego about the artists who influenced him, and he rattled off the usual big names, such as Kirby, Ditko, Barry Smith, Jim Steranko, et al. I thought I saw something in his art a bit different from those traditionalists, however, so brought up Gilbert and Jaime Hernandez. Bingo! Diego said that he loved Gilbert's artwork, and that he was the major influence in his graphics. Jaime fulfills the same inspirational role in his storytelling. Cool! Three Countries Respect Indigenous CultureMany adults in the United States express pride in their country’s Native American heritage, according to a poll by Roy Morgan International. 70 per cent of respondents believe indigenous culture is an essential component of American society. Australia was next on the list of the three nations surveyed with 69 per cent, followed by New Zealand with 58 per cent. The percentage of Australian respondents who acknowledged the contribution of Aboriginal culture increased by five points since 2000, while in New Zealand, the number of respondents who endorsed Maori culture went up by nine points. Coyote Goes HollywoodThe media--radio, television, film--is powerful. The messages dominate our thinking, particularly when the viewer has little or no opportunity for firsthand observation. How many Americans see "Indians" anywhere but on the screen? And either way, who is able to distinguish fact from fiction?Comment: An old article (1997) but an important one. Essential reading for fans of this blog. 3rd Degree: Q’orianka KilcherIn Terrence Malick’s 2005 film, The New World, a young Q’orianka Kilcher plays Pocahontas, guiding Colin Farrell’s John Smith toward an understanding of the American wilderness and its indigenous inhabitants. If only she can do the same for an oil-hungry world. Sixteen-year-old Kilcher, whose father is of the Quechua-Huachipaeri people in Peru, recently traveled deep into the Amazonian rainforest in Peru to survey the plight of indigenous Amazonians affected by oil exploration. Already a fairly experienced activist, the trip was an attempt by Kilcher to use her time in the spotlight--new as it may be--to illuminate an environmental and human rights disaster. Traveling up the Rio Corrientes by boat, she found a toxic legacy left behind by … Angelenos. Up until recently, the oil tracts she visited were being developed by Los Angeles-based Occidental Petroleum. And it wasn’t pretty. She found indigenous children playing in crude oil, drinking and fishing waters fouled with poisonous heavy metals, and ancestral land preserves invaded by multinational corporations with the blessings of the Peruvian government. Film crew in tow, Kilcher is making a documentary through her new production company, and recently presented her findings at the United Nations. Schmidt: Racist ads feature ignorant IndianSteve and his new roommate, Zagar, share an apartment. But the half-naked Zagar, a Native tribesman, is tough to live with. He eats Steve's canary, tries to light a fire under the bathtub and shoots arrows at the cat, hitting Steve instead. This wacky "odd couple" can't seem to connect ... except over a refreshing beer. So begins the latest ad campaign for Bud Light. Titled "Zagar and Steve," it consists of several television commercials and flash videos. The commercials have aired since July on programs such as "Saturday Night Live." Time: Who Were The First Americans? They may have been a lot like Kennewick Man, whose hotly disputed bones are helping rewrite our earliest history. "You need some help....Fiction is quite your taste I can see from you." Limbaugh handicapped races in new Survivor series, suggested "African-American tribe" worst swimmers, Hispanics "will do things other people won't do"Limbaugh also asserted that "the Asian-American tribe"--whom he called "the brainiacs of the bunch"--"probably will outsmart everybody," but while "intelligence is one thing ... raw, native understanding of the land--this is probably why the Native Americans were excluded, because they were at one with the land and they would probably have an unfair advantage." He added that "the white tribe," "if it behaves as it historically has," will "bring along vials of diseases" and "will wind up oppressing" the other tribes by "deny[ing] them benefits" and "property," but will later "try to put [the other tribes] on some kind of benefit program." 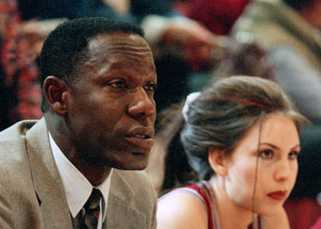 He further asserted that if CBS "allows ... cheating" and "oppression," "then of course the white tribe is going to win. 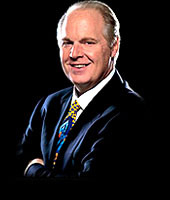 "For more on Limbaugh's bigotry, see Rush Limbaugh Is a Big Fat Racist. Hollywood likes Colonial woman's storySeveral independent moviemakers and scriptwriters are interested in bringing controversial Colonial heroine Hannah Duston to the big screen. Duston made history March 15, 1697, when she was kidnapped by Abenaki Indians, who killed her infant daughter by bashing the baby’s head against a tree. 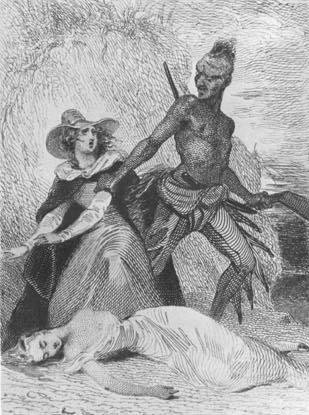 Two weeks later on March 30, Duston escaped with her nursemaid and a young boy from an island in the middle of the Merrimack River near present-day Concord, N.H., by killing and scalping as many as 10 of her captors. In a version of the story by the Abenaki tribe, Duston is more blood-thirsty murderess and less victim. 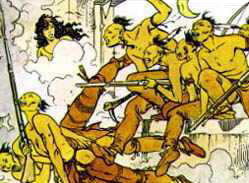 In the Abenaki account, she befriended members of the tribe, got several of them drunk and then slaughtered them with a hatchet as they slept.Comment: Yeah, good idea. We don't have enough movies portraying Indians as ruthless savages. Wonder which version of the story the filmmakers will use? Anyone want to bet on #2? If the filmmakers were fair, they'd tell why Indians occasionally attacked settlers: because the settlers were encroaching on Indian land. I didn't know much about Truman Capote until I watched Capote starring Philip Seymour Hoffman. I learned that Capote bonded with Perry Smith, one the killers he profiled in In Cold Blood. I also learned that Smith was part Indian. His mother, a Cherokee, drank heavily and beat him as a child. This abuse, the movie implies, clouded his mind as he attacked the Clutter family. He was perpetuating the cycle of violence begun in 1492. So the crime happened and Capote wrote about it because of an Indian. He became the most famous writer in America and revolutionized nonfiction writing because of an Indian. The half-Cherokee Smith died, but his legacy lives on. The book convincingly depicts the Oneida reservation, the dispute over the land claim, and the enmity between whites and Indians. Going into the book, I knew about as much as Parker and Turnipseed about this part of Indian country. Now I know it a little better. It was clever the way the story never referred to the leader of the Oneidas by name, calling him only "the nation's representative." That way, Mitchell could present a version of Ray Halbritter Jr. without incurring his wrath or a lawsuit. No book is flawless. Emmett Parker disappears for the final third of the book and his chemistry with Anna Turnipseed is mostly nonexistent. The plotting isn't as intricate as in most Hillerman mysteries, and that's a good thing. Hillerman usually spins a complex web of a plot with seven or eight strands, which is often too many to follow. I'd say the ending was decent but not "brilliant." Rob's rating: 8.0 of 10. If you're a fan of Native-themed mysteries, check it out. Mohawk Mayhem: Offensive video game pulledA new game that is available for download on the Internet definitely raised concern across Turtle Island. 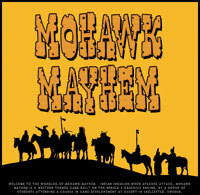 The game titled Mohawk Mayhem--Indian Invasion When Apaches Attack is on Old West-themed game, where the player is part of a group of cowboys who are being attacked by a group of “Indians because you stole their ancestors’ ‘dust.’” The game was designed by students in a game design course at gsCEPT in Skellefteå, Sweden. The game was developed as part of a school project this past spring over a ten-week period. The game was made availably on the group’s blog (mohawkmayhem.blogspot.com). One post stated “you are proud of a game that makes it fun to kill people? A real people who are still here? Wonder how many Mohawks or Apaches will buy your game? Not this one, that’s for sure.” After The Eastern Door contacted the game developers, developer Peter Bomark said they never intended any harm by the development of their game. The latest post entitled “We’re sorry” on the games blog explains it. “This is a response to a multitude of emails that I have received in the past few days,” Bomark wrote. “The emails are all criticizing the theme and name of a game (Mohawk Mayhem) that we have developed during the spring of 2006. “When choosing the theme and name of our game we never meant any offense to the Mohawks or any other Native American Tribe,” Bomark continued. 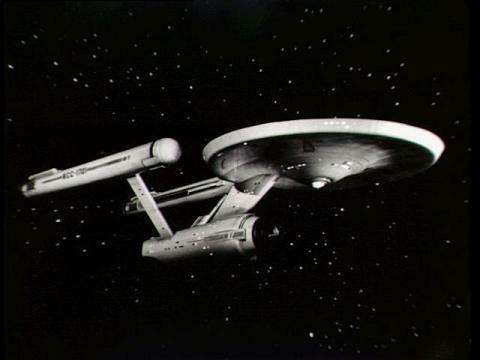 “Our inspiration was mostly old TV shows and comics, and our intention was not to promote hatred and/or racism. “We apologize to everyone that feels offended by our game or its name,” Bomark continued. “The game was never intended to be published in any form, we made a choice to publish it on this blog, to promote the nebula engine and ourselves. That was a regrettable mistake. Out of respect to the Mohawks and other Native American Tribes, we are removing the downloadable files from this blog.”Comment: The creators of this game were inspired by "old TV shows and comics." Well, of course they were. Stereotypes inspire prejudice and racism, even if it's unconscious. (LOS ANGELES) -- About 75 Native writers, actors, directors, and producers gathered in Hollywood Aug. 15 to schmooze, network, and build alliances. The setting was an alpine lounge atop the House of Blues on Sunset Blvd. The event was an invitation-only opportunity for Native filmmakers to get to know one another. The mixer was hosted by American Indian Cinematique. It was put together by InterTribal Entertainment, a multimedia training and production initiative of the Southern California Indian Center (www.indiancenter.org). After a traditional welcome, SCIC planner James Lujan opened the event. The talent is out there, he observed. Their stories are ready to be told. All Native filmmakers need are the resources to tell them with. 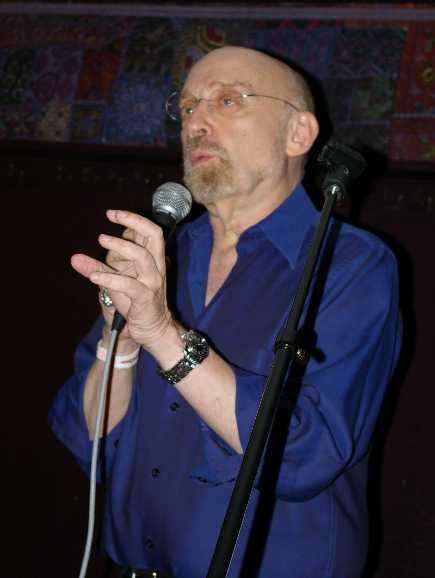 Arthur Allan Seidelman, an Emmy-winning director, gave the keynote speech. He presented the onlookers with three challenges. First, "tell your stories," he said, but tell them so they're accessible. "You must tell your stories in a manner that reaches beyond the confines of your personal world." Make it universal, he continued. Don't preach to the pews. Make the audience care. Second, said Seidelman, "Work with those who have have gone before you." Reach out to and learn from the experts. Get jobs in the industry and hone your craft. Take strength from the people in the room. Third, he said, the goal for every minority community is to have a character next door who just happens to be of that minority. In other words, when minorities no longer have to wear labels, their heritage becomes one aspect of their characters, not the whole. Blacks have largely achieved this status, and Indians should strive for it also. 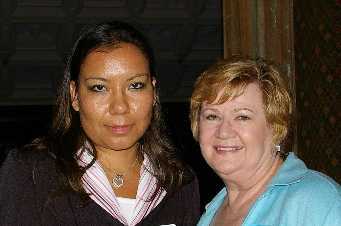 Sandy Denney said the movie "Tortilla Heaven" will premiere in 2007. She noted that it will feature Natives such as Irene Bedard and Elaine Mills. Writer/director Kathy Peltier said she's developing a "Life of Leonard Peltier" documentary about her father. Singer/songwriter/actor Arigon Starr urged people to stay tuned for her upcoming superhero radio drama, "Super Indian." Screenwriter/cinematographer Will Wagner disclosed that he's planning a movie about Native gangsters a la "The Sopranos." Bird Runningwater, director of the Sundance Native American and Indigenous Institute, said he's always looking for fresh, original scripts by Native writers. Actor/writer/director Miguel Najera offered his equipment and facilities to Native filmmakers in need. As the meeting broke up, Lujan, another multi-hyphenated Native, shared his thoughts. "This was a historic event," he said. "Nothing like it has been done before." True, Native filmmakers have networked at other events, but this was the first event dedicated to introducing members of Hollywood's "tribe" to each other. Lujan hoped this would be the first of many such events. Indians aren't on the major studios' map, he said, so they have to help each other. Lujan noted that filmmaking is a legitimate industry--the third largest in Los Angeles County. He added that the Indians assembled this day were savvy business people as well as creative artists. If organizations such as gaming tribes took a chance on them, they'd reap the benefits. They'd get their stories told and make money at it too. For more information on InterTribal Entertainment, visit www.nativefilm.com. Rob Schmidt is a writer and publisher of Blue Corn Comics (www.bluecorncomics.com). 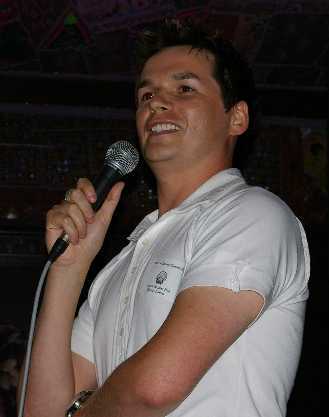 He reports on Native movies via his website, newsletter, and blog. Photographs courtesy of Harrison Lowe (www.renaissanceindian.com). Indians and Vulcans and Klingons, oh my! What's In A Name? [T]he N-word, so fully associated with that history, is a special case, and it has no equal. But as we know, alas, there are several pejoratives for black people that are one or two ticks down from the big one. And here, we start to see very clear parallels with redskin. The closest one is "spade." Both refer specifically to pigmentation (the latter a metaphor drawn from a deck of cards). Both mock and categorize entire races explicitly because of pigmentation. So if you think Washington Redskins is OK, then you believe that Washington Spades would be fine, too. And there is more: Because of the nature of the historic conflict between white man and Indian, the word redskin carries another, more implicit meaning—it marks the people described as a different, hence exotic, hence somehow threatening tribe. Here, the equivalency is with Jews. Could we imagine the Washington Hebes? Aidan Quinn Tends to HBO's "Wounded Knee"Aidan Quinn will star in HBO's original movie "Bury My Heart at Wounded Knee," which depicts the displacement of American Indians as the U.S. expanded west during the latter half of the 19th century. August Schellenberg also has been cast in the project based on Dee Brown's best-selling book "Bury My Heart at Wounded Knee: An Indian History of the American West." One comic I never read from the 1970s was PREZ, about the first teenage president. A correspondent recently brought it to my attention. Here's the scoop on Prez and his faithful Indian companion, Eagle Free. American Indian Writing, Seen Through a New LensIn the book Mr. Treuer takes on Louise Erdrich, Leslie Marmon Silko, James Welch, Sherman Alexie and other Native American writers. He finds much to praise but argues that the works of Indian authors are often read as ethnographies, when they should be read as literature. In addition, some Native writers, he says, use pictures of Indianness passed down by white authors including Rousseau, Walter Scott, James Fenimore Cooper, Washington Irving, Henry Wadsworth Longfellow and Walt Whitman. He contends that they even reflect “The Education of Little Tree,” a best seller in the 1970’s and 80’s written by Forrest Carter, who was discovered to be a violent racist, a Ku Klux Klan member and a speechwriter for Gov. George Wallace of Alabama. Flawed prose and clichéd images and ideas, Mr. Treuer contends, are typical of writing about Natives—whether by Indians or whites—and are excused because they fit the culture’s preconceived notions of what Indians and Indian life are like. More from American Indian Writing, Seen Through a New Lens:From the Boston Tea Party to “Dances With Wolves,” to the New Age movement, Mr. Treuer said, sitting in the bar in Bena, a small settlement on the reservation, Natives are inextricably bound up in the myths white Americans have created about what the country was, what it is and what it represents. “Words are the most powerful shaping tool,” he said. “Writing, speech, language don’t just communicate fact, they create fact.”Comment: I agree with Treuer's final statement. The media is creating the reality for today's Indians. Whether it's as bloodthirsty savages or greedy casino owners, how we perceive them = how we treat them. One problem with Treuer's position: I doubt Erdrich, Alexie et al. would agree they're writing "cultural artifacts" rather than literature. In fact, Indian authors routinely say they're trying to transcend the genre of ethnic fiction and create works with universal appeal. Our Voice is Our Weapon: An Interview with Native Comics Artist Tania WillardPainter, printmaker, illustrator, writer, and comics artist, Tania Willard is also the editor of Redwire Magazine, an Indigenous youth magazine and website out of Vancouver, and one of the only forums for independent aboriginal culture, art, and politics in Canada. Willard is also a member of the Secwepemc Nation, and a very vocal defender of Native rights. She is also doing a comic strip series on Native working class history called "Red Flags Red Skin" for Our Times, an independent labour magazine. The following is a result of an interview conducted via e-mail. Recently you published an amazing all Native comics issue of Redwire Magazine. What was your inspiration for this issue? "I have been interested in comics for a while, and in the imagery of Natives used in the media and popular culture. We had a copy of Everett Soop's book of single-panel comics. Soop was this really brilliant Indian political cartoonist in the '60s and '70s. Another influence and inspiration is Gord Hill's Zig Zag comics. He has been doing these amazing form-line design comic fusion illustrations and stories for a long time. I have seen a lot of the Indian characters in comic books and they are all so stereotypical--we wanted to frame our own Indian characters as more than a shaman, a pretty Indian princess, or vicious warrior. I also think comics are a great way to tell history. There is a comic book called The Illustrated History of the Chippewas of Nawash, and although I think it's not the greatest artistically, the idea is amazing. I guess I always thought that comics are a good way to retell traditional stories, for example The Little Girl and Grizzly Bear story I did for the Redwire comic issue. 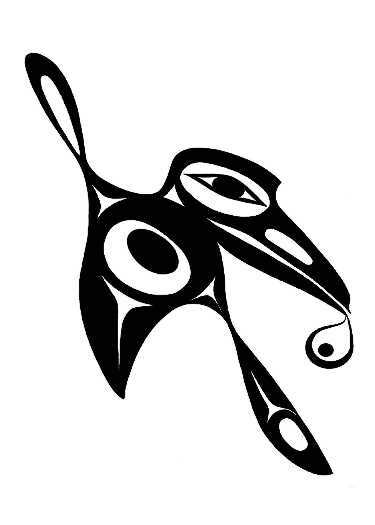 Our oral tradition for these stories is less and less with the passing of the older generations; so many Native people are seeking to portray these stories in new ways." Hopi, Big Mountain, and Navajo Nation--December 2000 by Annmarie Sauer. A correspondent comments on my review of Marvel's WESTERN LEGENDS:This article, posted @www.navajoland.com, concerns that tribe's version of the Creation. 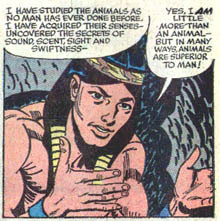 And, in that legend, several references are made to a tribe called "the Kisani." Apparently, this is supposed to have been the antediluvean name of the Ancestral Puebloans (a.k.a. "the Anasazi").Thanks for the info. I hadn't heard that. It doesn't change my critique, but it's worth noting. Actually, the fact that "Kisani" refers to the ancient Puebloans muddies the water further. With its references to Cap'n Jack, lava beds, and volcanic tubes, the story is apparently set in Northern California. But with its references to the Acoma and Kisani people, it's apparently set in New Mexico. Oops. A note from Sean Muir on DARKNESS CALLS and STANDING TOGETHER:The reception has been amazing. We receive about a dozen orders a week. Almost overwhelming. We are also distributing Standing Together, though not as aggressively. But that will change this Fall, I imagine. We have funding for 3 more comics this Fall and Winter and at least a couple more coming down the pipe. 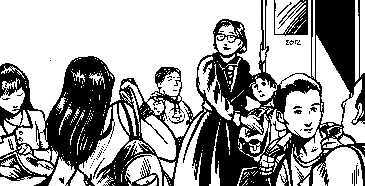 See one justification for doing Native-themed comics over in my Pictographs blog. Poll: Americans not so brightThree-quarters of Americans can correctly identify two of Snow White's seven dwarfs while only a quarter can name two Supreme Court Justices, according to a poll on pop culture released yesterday. According to the poll by Zogby International, commissioned by the makers of a new online game on pop culture called “Gold Rush,” 57 percent of Americans could identify J.K. Rowling's fictional boy wizard as Harry Potter, while only 50 percent could name the British prime minister, Tony Blair. The pollsters spoke to 1,213 people across the United States. The results had a margin of error of 2.9 percentage points. What was Pocahontas famous for? Starring in a Disney movie. 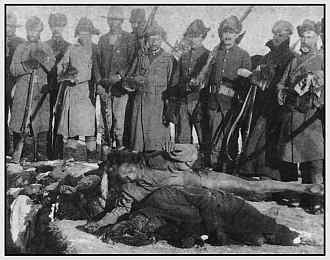 What happened at Wounded Knee? A football injury. What did Geronimo do? Jumped out of a plane. As the poll demonstrates, people remember only what they see in the media. They know popular fiction much better than they do US history. And what they "know" about Indians is that they were savages who lived in teepees and attacked wagon trains before vanishing into the sunset. Hence the need to remind people, over and over, that Indians still exist and the stereotypes about them are wrong. Hence the need for popular fiction featuring Indians. The poll proves that the way to reach people is through movies, TV shows, books, comics, and video games. 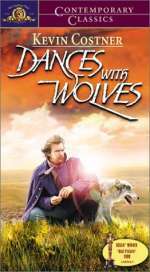 People will remember a Dances With Wolves, Tony Hillerman mystery, or PEACE PARTY comic a lot longer than they'll remember a history lesson. "Indian Blood" taps familiar dramatic veinIf considering candidates to pen a WASP variation on Neil Simon's "Brighton Beach Memoirs," A.R. Gurney would be at the top of the list. With a resume that includes "Love Letters," "Sylvia" and "The Dining Room," he has found commercial and critical success by imagining the lives of bluebloods and their ilk. So it is downright shocking that "Indian Blood"--Gurney's semi-autobiographical play about growing up in a large, relatively privileged family in Buffalo, N.Y., in the 1940s--is utterly lacking in depth and resonance. "Separate rules and regulations will never be equal or fair"
Xavier Cornut of Switzerland is threatening to sue Blue Corn Comics and PECHANGA.net for posting comments critical of a pro-Custer website run by his brother David. For the details, go to Lawsuit Threatened Against Blue Corn Comics. The loser: Student editor calls Indians "savages," says he was "scalped"
"Nice try...makes for good revisionist history, but life is a football game, and we got the trophy!" Why you should never vote liberalOne of the most disturbing and enduring myth about US history is the teaching of the American West: murderous Whites were beating to death wonderful Good Savages. By mixing real events with their own beliefs, liberal historians and writers are creating new lies which often stand for decades. Native American author James Welch, who was writing a book about General Custer and the Plains Indians in 1994 (1), knew that he could do whatever he wanted by pointing about “US bad treatments of Native Americans”. He lied about Custer and spent most of his time talking about the famous “Native American genocide.” It’s a pure liberal lie (or Ward Churchill’s lie), yet everyone has heard about it and almost everyone thinks it’s true. Here’s what Historian Stafford Poole (1) said : “There is many words to describe what happened in the North Hemisphere, but «genocide» is not one of them. It’s a good piece of propaganda in times when devises and tempers have taken the place of thoughts and knowledge […]” The “genocide” is a pure liberal lie. Native Americans died by sicknesses, which were mostly their own and some European like smallpox or flu. No genocide here. Historians are yelling that there was actually NO attempt by the US government to exterminate the Native Americans, but liberals are using Hollywood to run over their works. The “genocide” myth goes on with considerable success. Liberals are gambling with US guiltiness about the Conquest of the Native American lands. They’re lying and attempting to make their lie come an “accepted and undisputable fact”.Poor li'l Cornut. The liberals have taken over the US and Europe and indoctrinated the masses with "political correctness." That most people now recognize the crimes committed against Indians is part of a vast left-wing conspiracy. How bearable is Brother Bear? "[T]he reason of my email is trying to 'redeem some of the bad points.'" Oh, no! A casino on every corner! Without much fanfare, Disney has built quite a record as a maker of Native-themed films. Its roster includes the original Peter Pan, Pocahontas, Pocahontas 2, The Emperor's New Groove, Jungle 2 Jungle, Brother Bear, Hidalgo, Kronk's New Groove, Pirates of the Caribbean: Dead Man's Chest, and the upcoming Apocalypto. I can't say the quality of these movies is exceptional, but the quantity is. Kudos to Disney for at least trying. 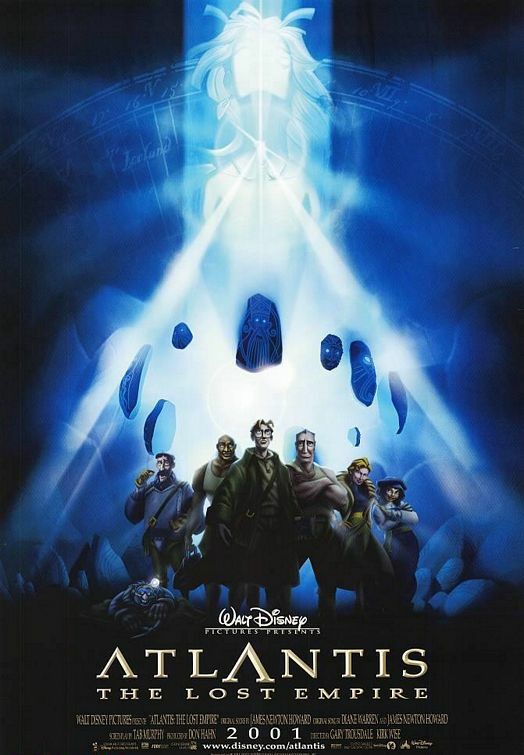 You might think there was no connection between Indians and another Disney movie, Atlantis: The Lost Empire. If so, you'd be wrong. To find out what the connection is, go to Indigenous Atlantis. 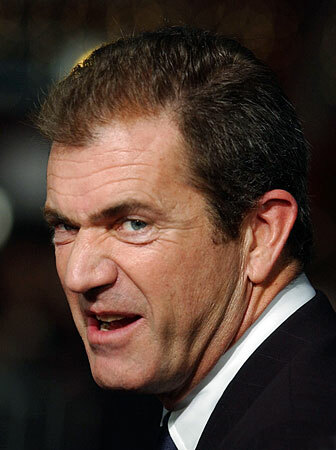 Disney confirms it will release Mel Gibson filmWalt Disney says it will continue with the distribution of Mel Gibson's film Apocalypto, refuting reports that the company would sell its distribution rights because of the director's drunken, anti-Semitic rant. "It's not true," said Disney spokeswoman Heidi Trotta on Friday, referring to reports about a possible sale. Watch out, Indian country. Before we know it, the entire Gibson meltdown will be the fault of those hundreds of thousands of Maya people who didn't collapse with the pyramids, and the governor of California will find a way to blame it on casinos near the Pacific Coast Highway. Gibson has said that the movie has been an anthropological journey for him. Terrific. We'll probably get the version of history that says the Maya did themselves in by the excesses of civilization and improvident environmental stewardship. The sound of the film is a Mayan dialect very few Maya people speak today and what's said to be ancient Mayan music. That is, I guess, to make the people incomprehensible and more like scenery, pottery, jewelry and makeup than like human beings. The film script is a super-duper secret written by Gibson and his assistant, Farhad Safina. The buzz is that it's Gibson's bloodiest, goriest movie so far. That makes it about a 15 on a blood-and-gore scale of one to 10. Great. We can look forward to a Christmas holiday bloodfest that invites people to hate Indians and to think that we close some ceremonies to hide human sacrifices, rather than for privacy from prying eyes and camera lenses. Indians Once Again Challenge Redskins NameA group of Native Americans filed a new legal challenge yesterday to trademarks for the name and logo of the Washington Redskins, saying the team's name is a racial slur that should be changed. A petition filed at the U.S. Patent and Trademark Office by six Native Americans represents a second chance for Indians to challenge the football franchise's name. The team prevailed in an earlier fight when a U.S. District Court judge ruled that the plaintiffs waited too long under trademark law to object. 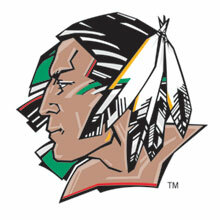 This time, the complaint was filed with a new set of plaintiffs.Mascots debate: Fight progressing, but work is left to do"Nothing is more important to Native Americans than the way we are portrayed by pro, college and high school level sports teams and the way we are portrayed in the minds and hearts of the people who support and read about those teams," said George Benge, moderator of a discussion titled "Mascots and Stereotypes: Solutions." "The term 'Redskins' is an extraordinarily insensitive and derogatory term and one that should not be granted exclusive trademark licenses by the federal government," said Suzan Shown Harjo of The Morning Star Institute, a nonprofit American Indian advocacy group and lead petitioner in the original case in 1992. Survey finds interest in tribal land visitsA survey that has surprised the state's tourism officials indicates that although American Indian casinos draw a fair share of customers, the real travel jackpot is the wealth of tribal culture. As a result, Arizona's Office of Tourism is working with tribes statewide to devise an ad campaign to take advantage of an increased interest in Indian culture. "There is a keen curiosity in what Native American culture is like," said Jacki Mieler, director of media relations and communications for the tourism Office. "People are willing to take the time to explore. We need to connect with that audience to increase tourism." When and where was the first treaty signed between Indians and Europeans? Which is the whitest state in the Union? "Urban casinos: Too little regulation, too many loopholes"
As noted previously, The Healthy Aboriginal Network created DARKNESS CALLS to address the critical issue of suicide in a youth-friendly format. Here are my thoughts on the 40-page comic. The Healthy Aborigianl Network also sent me a comic called STANDING TOGETHER. This standalone issue features six short stories by Native writers and artists on health-related issues: drug use, diabetes, body image, suicide, mental health, and accountability for one's actions. It includes lots of phone numbers of health contacts for more information. The stories are more like quirky public service announcements than true fiction. They're about as primitive as the work you might find in any indie or amateur comix. But it's good to see young Native talents stretch their wings and fly. I don't know if STANDING TOGETHER is available from the Healthy Aboriginal Network. If you're interested, contact them and ask. Age of Empires III: The WarChiefs (PC)As much fun as Age of Empires III was, it sometimes felt as if something was missing. Maybe it was the strangely subdued presence of the Native Americans. Ensemble's Bruce Shelley actually discussed this during an October 2005 conversation with GameSpy. The upshot, according to him, was that the team decided, for a variety of reasons, to focus on the European experience in the initial release. That'll change, however, in The WarChiefs, the upcoming expansion pack for Age of Empires III. 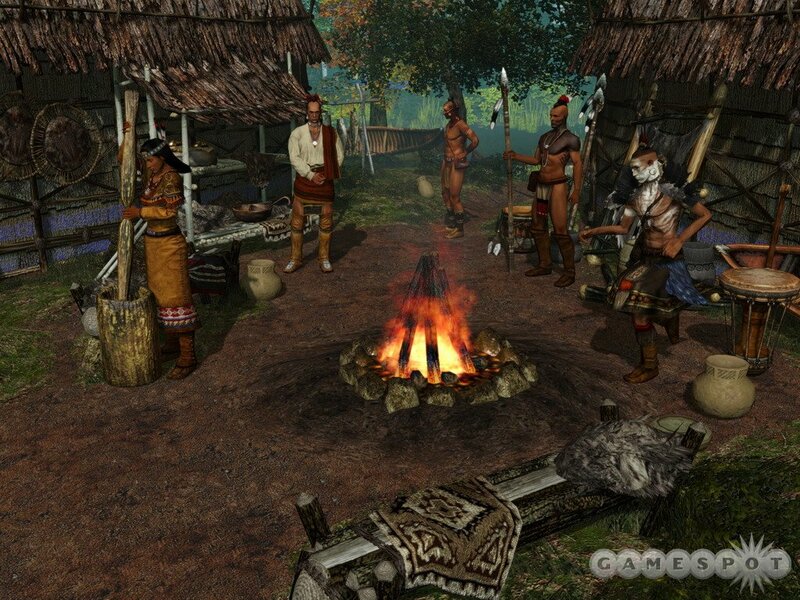 "One of the major goals for The WarChiefs was always to present these Native American civilizations," said Wallace Wachi, the game's producer, during a recent demonstration of the game. According to Wachi, there were just too many interesting and fun things the team wanted to do with Age of Empires III to not explore the American Colonial era from "the other side." After discussions with Microsoft's in-house committee of Native American employees, the ultimate recommendation came down to accurately representing the Native American culture and making sure that they could go toe-to-toe with the European civilizations on an equal strategic footing. The last part, Wachi notes, was never in doubt. "It wouldn't be much fun if a player couldn't win with the three new civilizations." I've started a new Native education blog called Pictographs. The theme is preserving Native languages and cultures through words and pictures. I haven't finished it yet, so the name, format, and URL may change. But the content is there now. Little lost tribe of Israel? Tribal teens use film to tell the stories of who they areFor many American Indians, attention from the world outside the reservation boundaries can be fearsome. Mainstream video cameras capture poverty, suicide or corruption. When Indians turn their own cameras on themselves, the picture is very different. The 20 films submitted to the Tulalip Film Festival, which ended Friday, refused to gloss over the challenges on reservations, but they didn't abandon their characters there. In one film, young Indians escape to Montana's backcountry for a leadership camp. In another, women discuss how they look and feel different than non-Indians. Puppets share the tribal legend of "Deer and Changer" in both English and Lushootseed, the traditional language of the Tulalip Tribes. A boy's father turns to alcohol to cope with the death of a friend. One by one, stereotypes of tribal culture are challenged. "By charging the youth with the skills necessary to tell their own stories and to put those images out in the media in our own way, the broader public will see native persons the way we see ourselves, with all the cultural complexities," American Indian filmmaker Tracy Rector said. Maori slam 'warrior' gene studyA New Zealand scientist says the country's indigenous Maori people have a 'warrior' gene which makes them more prone to violent and criminal behaviour. Dr Rod Lea revealed his theory this week at the 11th International Congress of Human Genetics in Brisbane, Australia, acknowledging that it is controversial to suggest an ethnic group is predisposed towards criminal behaviour. Disney Looking to Dump Mel?According to the ever-reliable Fox News (those of you who get all upset about our Brokeback posts better appreciate this), Disney, currently slated to release Mel Gibson's Mayan epic Apocalypto in December, is now quietly searching for a new distributor for the film. The one name being mentioned thus far is Lionsgate, a studio that, as the Fox article points out, has been successful with a handful of other abandoned/difficult projects, including Kevin Smith's rather abrasive Dogma (not to mention the much loved, straight-to-video release Leprechaun: Back 2 tha Hood). Ever since the details about Gibson's arrest came out, there has been speculation about whether his public fall would impact the release of the already difficult-to-market Apocalypto; it would certainly be understandable if Disney simply wanted to wash their hands of the whole thing. More details when/if they emerge. Jack and Ennis: real cowboys?